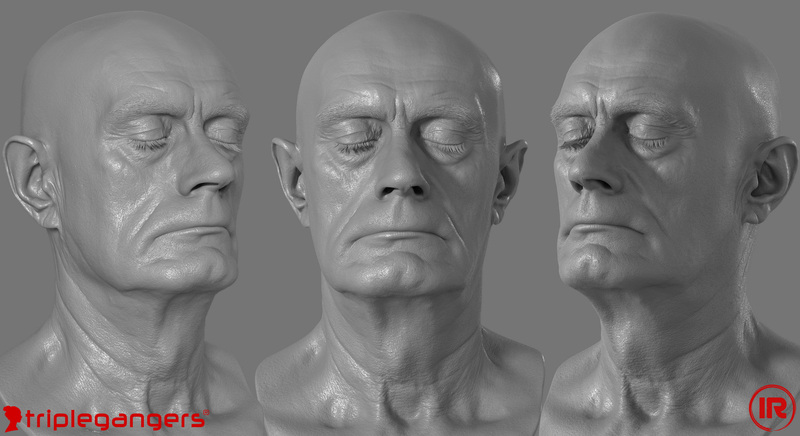 We are on a mission to create the largest library of not only raw 3D scans of human faces but also develop the biggest resource of high quality Sculpts and realistic Realtime assets. We’ve been scanning for over 2 years and now it is time to start converting our 3D Scan library to high resolution ZBrush Sculpts, which will then be further converted to Real-Time assets. 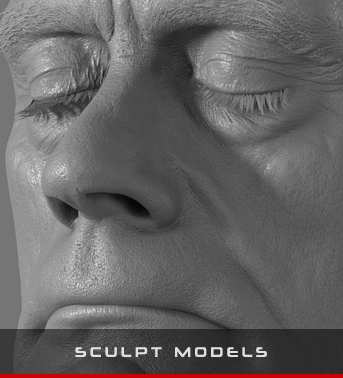 With the Sculpt line of products, we aim to give you easy access to an unprecedented level of realism and quality, but most importantly cut your production time and save you money. We’ve put 100’s of hours of work into each model, patiently crafting it without cutting any corners. This release was postponed multiple times because we felt like certain things can be improved, a lot of it was redone as we kept perfecting our pipeline. It is not anywhere near the level of realism we hope to achieve one day, but currently we feel very proud and confident in what has been done. These assets were made with thought to be used in visual effects production, game development or future AR, VR and MR research. We have 1000's of scans to process. Using IR's photogrammetry solutions, we are able to capture a wide range of detailed photographs of real life models, to process as scan files using Agisoft Photoscan. We have also developed a wide range of custom scripts and processing tools to allow us to carefully convert these scans to detailed Sculpts. Here’s a few aspects of our pipeline that make our products unique. We use a camera alignment matching tool in 3DSMax to model and texture match during the sculpting phase. This allows us a 1:1 match from scan, photograph to sculpt. This part of the refinement process is incredibly important when placing virtual eyes on these models, as well as detailed hair placement. We never rush the scan to sculpt conversion process, and take as much time as it is required to get the 99% match. During the photomatching phase using GOZ in ZBrush we continue to refine our topology over the RAW scan, project details and spend a considerable amount of time sculpting in the details, corrections and smoothing out any surface noise that may be present from the scanning process. We use custom group sets to easily hide/unhide target areas during sculpting and scan reprojection. 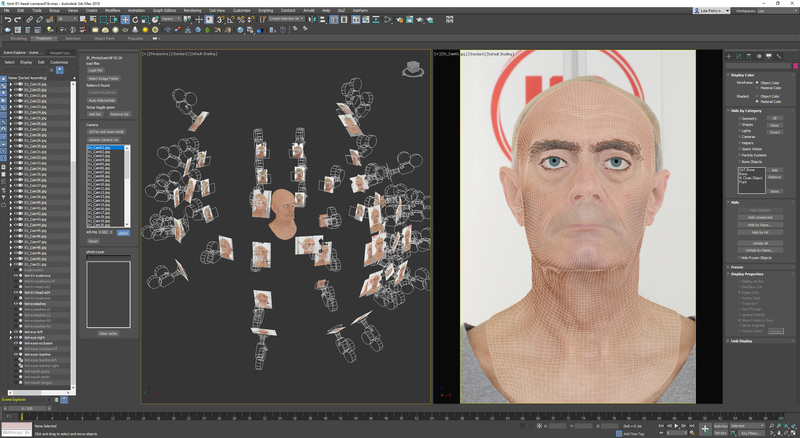 Whilst using a single topology is not recommended, as no one topology can conform to all head shapes, it should act as a good basis for any artist to work from. You can always use your own topolgy to reproject with, by cross baking using Wrap3. All our Sculpts share the same topology and UV layout, which enables you to morph/mix different models, replace shape and texture features essentially creating new characters. All our Scan products contain ZBrush *.ZTL file with main head sculpt subtool consisting of 7-8 subdivision levels that results in total 8.3 - 33.3 million polygons and eyes closed Morph Target as a layer, 8192 x 8192 textures in *.TIF format (head neutral, head eyes closed, teeth, markers, eye), teeth, tongue, mouth insides, eyes, eyelashes and eyebrows for neutral and eyes closed shapes. All Sculpts are correctly calibrated and matched to the scan source, which in turn are matched to real life dimensions. The sculpts mouth sockets have been carefully fitted around a set of scanned teeth. Each sculpts skull shape has also been carefully shape matched to a generic skull placeholder. 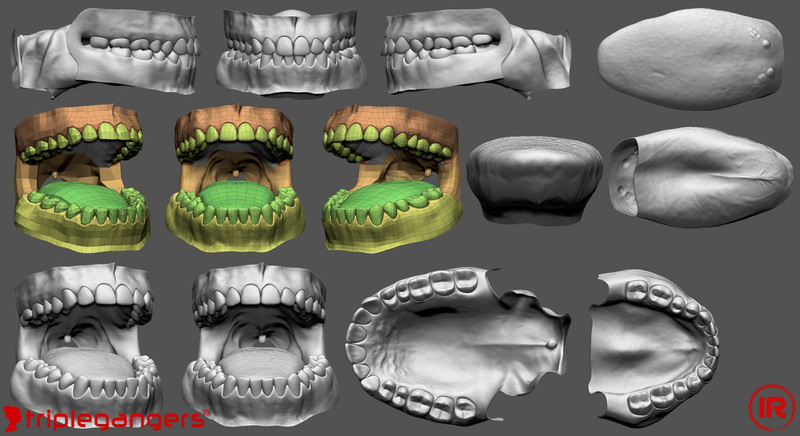 We've created our own set of universal Teeth, which were built around a scanned set of a dental impressions. These were carefully cleaned, sculpted, grouped, UV mapped and textured. We are now working to create tools which will allow us to generate new teeth that will be a perfect match to that person’s own teeth, based on multiple reference images we take of each model. Each sculpt has been matched to a generic shaped human skull, which was created based on a scanned real human Skull, sourced through our connections in medical university, as well as multiple CT and MRI scans. Although this is not 100% perfect, as every human has a different shaped skull, we find it very useful to aid with head shape sculpting. We would like to thank the team at MPC who worked on BladeRunner 2049 for this inspiration. Our Sculpt products are offered as a blank canvas for other Artists to further tweak, optimize, stylize or use as it is. 100's of hours have gone into the creation of each sculpt, the whole scan to sculpt pipeline has taken us many years to develop, which we intend to continue. We're certain that other artists and companies can further improve our data sets to use in real-time or offline rendering. We are interested to see how you might use the Sculpts in your projects. Coming up next will be our new range of Real-Time products..